There are premium books available for Meteor such as Discover Meteor which will help you learn how to build Meteor application from scratch. However, in this post, we have limited ourselves to listing free e-books and learning resources for the Meteor JS Framework in order to get you started quickly in exploring Meteor development. We will recommend starting with the official Meteor tutorial as it will always be up-to-date with the latest Meteor standards and principles. The official tutorial for Meteor is short and simple covering both web application as well as mobile application development with Meteor. This is an online tutorial written by Matthew Platts where he shows how to build a Meteor app from scratch. The tutorial builds a simple app that allows you to record the scores of foosball matches. BulletProof Meteor is an online course for learning how to build fast and efficient Meteor apps. Content of BulletProof Meteor comes in three packages with the basic package being free. The free package takes you through the basics of performance optimizations for Meteor apps. 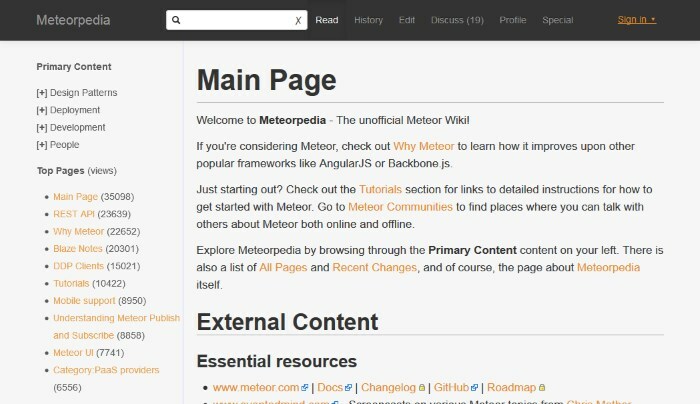 Meteor Cookbook is an online tutorial for Meteor which has been compiled and curated from over 2 years of emails and discussions from the Meteor google group and from author’s (Abigail Watson) experience with Meteor. Meteor Learning is a huge compilation of tutorials, articles and learning resources for building apps with Meteor framework. Meteor Academy contains a series of online tutorials taking you through building web applications with Meteor. Meteor Academy is built by Ciara Burkett to help novice web developers learn Meteor. Applications built in the tutorial are open source and available on GitHub. We have included the following resources as we found them to be useful in learning Meteor. MeteorPad is a JSFiddle or CodePen like online code playground for Meteor. You can edit and run Meteor code inside your browser, see the results instantaneously and share pads with others. Crater.io is a Hacker News style community site for Meteor discussion and for submitting and discovering the latest news and updates about Meteor. It is built by Sacha Grief using his open source meteor app Telescope. The Meteor Podcast is a weekly podcast by Josh Owens and Ry Walker sharing latest news from the Meteor ecosystem. 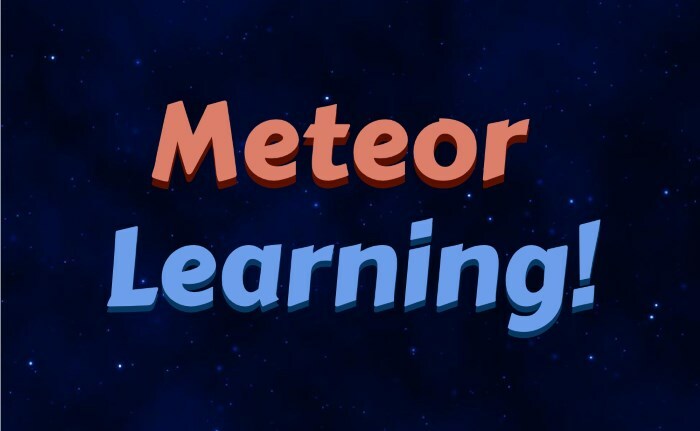 Do let us know if we happened to miss any of the free learning resources for learning Meteor in our list. You can also let us know if you build or have built an Open Source app with Meteor so that we can share it with our readers. How to use a custom MongoDB installation from an external server. Thực sự việc cài NodeJS trên window thì cũng không khác mấy những phần mềm bình thường, cứ start rồi next next… finish ^^. Vì vậy trong bài viết này ngoài việc cài mình cũng sẽ giải thích thêm 1 số kiến thức căn bản cần biết về NodeJS cho newbie.